As part of the band who were frequently cited as the "Beatles of the Philippines", Ely Buendia has a musical legacy barely anyone can touch in Southeast Asia. The former frontman of Eraserheads, one of the most acclaimed Filipino rock bands of all time, will be performing in Singapore with his first Greatest Hits showcase in the country. Buendia last performed in Singapore in a rare gig with Eraserheads in 2013 at the Max Pavilion. The show is set to happen on May 20th at Mega Box @ BIGBOX (3rd Floor Event Hall) in Jurong East. There are three categories for tickets: General, Gold and VIP. 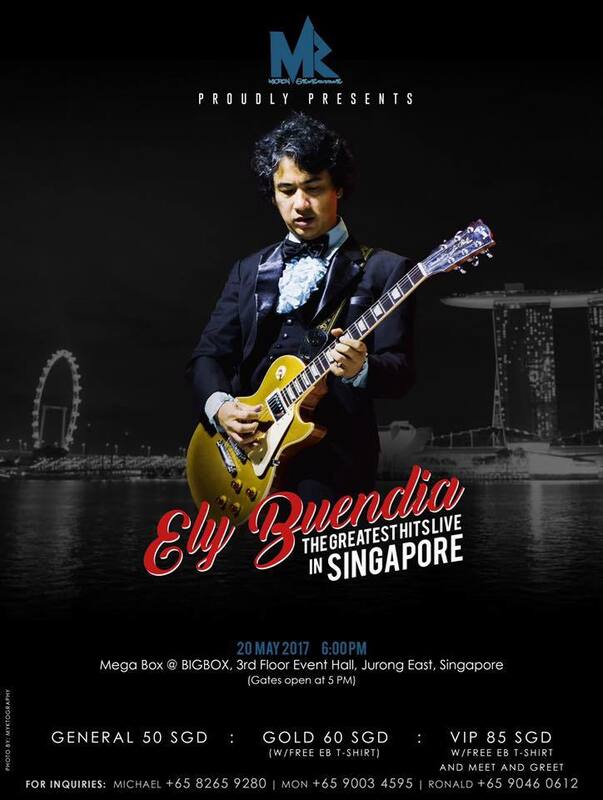 General admission tickets are priced at SG$50, while Gold audience members will receive a free Ely Buendia t-shirt at the price of SG$60. But if you do spend SG$85 for a ticket, you'll earn yourself a VIP pass, which includes the same t-shirt and a "meet and greet" session with the man himself. Tickets are currently not available on public platforms, but interested fans can contact organizers Michael (+65 8265 9280), Mon (+65 9003 4595) and Ronald (+65 9046 0612). We recently featured 'Fine Time' by Eraserheads on the Valentines Day edition of our RRR podcast. Listen here.